How to Choose the Right Rug Size? 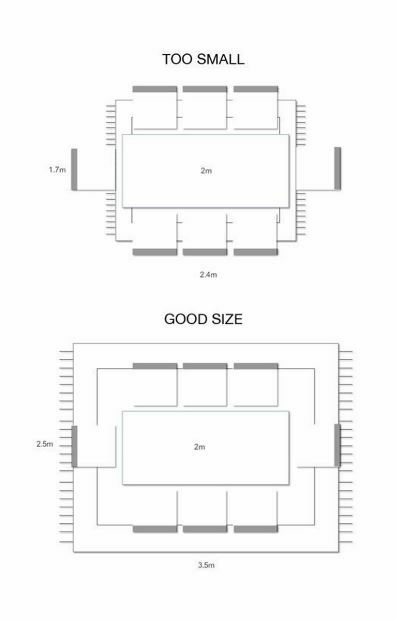 Choosing the right rug size can be a difficult task if you are confused about what would be the best. But there are some things you should remember. The first thing you should keep in mind is what room are you looking a rug for? Only after you sort that out, you can finalize the rug size. Also, a few inches make a lot of difference in the appearance of a room, so don’t rush. At Udai Exports, we provide you with the option of getting custom made area rugs I.e. the sizes can be customised according to your choice. If the living room has a big size, the most appropriate thing to do would be to cover it up. If the furniture is around the center of the room, you should get a large size rug that covers both the furniture and the open big space completely without making it look out of place. The standard size for the rug- 9’ * 12’ or 11’ * 14’. If the furniture in the living room is placed alongside the wall and not in the center, get a rug that covers the furniture halfway. if you cover the furniture completely I.e. the rug would be touching the wall, it will make the room look suffocated. Give it some breathing space, let it cover two legs of the furniture and let the other remain open. The standard size for the rug- 6’ * 9’ or 8’ * 10’. If the living room is small, a small rug that can be used under the coffee table or to define specific seating areas in the center would complement the room. Placing the furniture and rug in a position like this gives a feeling that the room is bigger. The standard size for the rug- 4’ * 6’ or 5’ * 7’. The best choice of rugs for corridors or hallways are runners. A long runner placed in the center of the hallway, with all the furniture pressed to the sides would appear good. Since the area is narrow, it is better to keep all the furniture off the rug. Other than that, rather than keeping the runner placed in the center of the hallway, you can keep all the furniture on one side of the wall and the runner on the opposite wall. If your kitchen is U- shaped, the best way would be to place a small half round or small rug in front of the rug because that would make it look simple and in the center. A kitchen like this would have a foot traffic hence keeping it small would be the best. If you have a narrow galley kitchen, or if you have a center island, it would look good if you can cover the empty space in between. Using runners and placing them in between the galley would extend the length of the kitchen and is a great way to add padding underfoot. There are two kinds of dining tables you can have, a rectangular one or around one. In either case, the best appearance would be when the rug would cover the entire furniture and all the legs of the chairs and the table rest on the rug completely I.e. a medium size rug. Also, don’t forget that the size of the rug is not exactly the size of your table, because then if you push the chairs back, they would be going off the rug, so make sure you get a rug that extends beyond each side of the table. There are a lot of options available in how you can place the rug in your bedroom. The first one would be to cover all the parts of the bed in the rug. Your bed would be the base for the rug placement. All the legs of the bed should be covered in the rug but not just that, the rug should be extended in a way that when someone steps off the bed, he doesn’t directly step his foot on the floor, but rather on the rug. This also accompanies the furniture along with the bed, like the nightstands or the bench kept alongside the bed, but not the dressers kept along the wall. 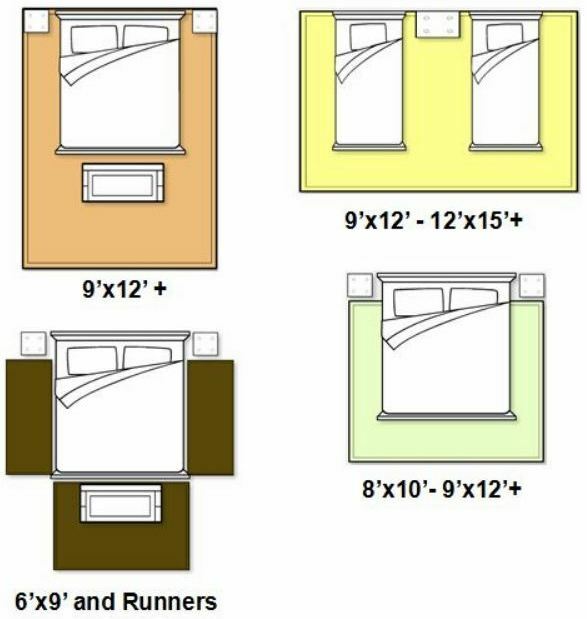 The third option is to place runners on both the sides of the bed. This world on any kind of bed because the runners are only placed alongside. Even if your room has wall to wall carpets, you can place runners on either side of the bed for a copier foundation. However, you must remember that the rug shouldn’t extend the bed itself, it should be smaller than that, but it should be wider than the nightstands, that would give the room a better look otherwise it would only appear out of place. Whatever size of rug you are choosing for a room, it should depend on what the shape of the room is where you want to place it, that should be the base. There are a lot of sizes in rugs that can be chosen & at Udai Exports we have rugs ranging from small to large, with a lot of different sizes as well.